Several upset results in the opening round have added extra spice heading into Round 2, where all sides will be desperate to take winning form into the Easter break. 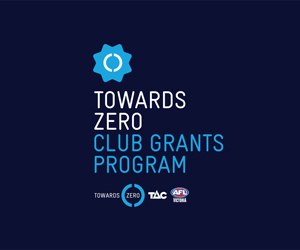 Three of last year’s top-five, including both grand finalists, suffered defeats in Round 1, while newcomer Lower Plenty overturned a seven-goal deficit to produce a triumphant return to the top flight. 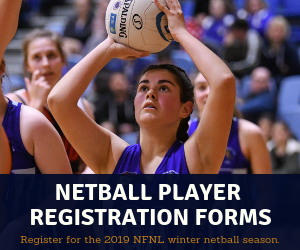 North Heidelberg dismissed any suggestion of second-year blues with a determined win away to Macleod, while Greensborough, Heidelberg and Northcote Park were well served by new recruits in impressive first-up wins. It may only be Round 2, but it already looks a proverbial ‘eight-point’ game when Bundoora plays its first home game of the season against North Heidelberg. The new-look Bulls will be looking to respond after proving no match for Northcote Park in the season opener last Friday, while North Heidelberg is looking to start its season with consecutive big scalps on the road. 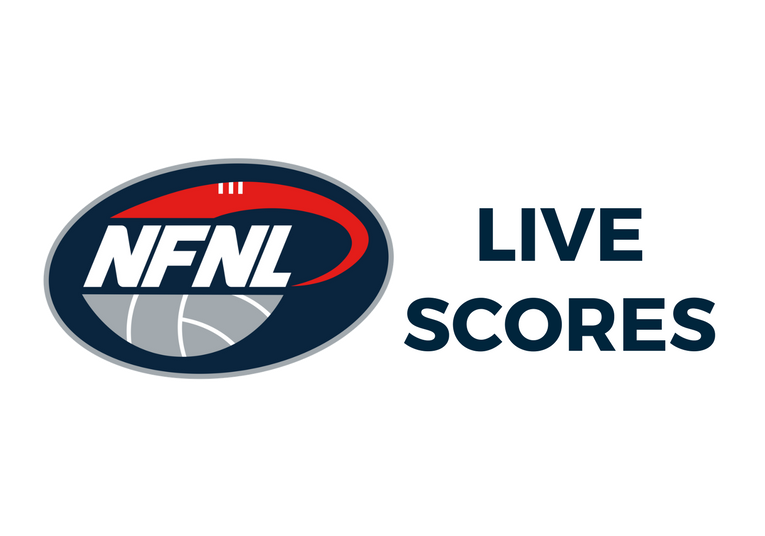 Ten points down at the main break, the Bulls were a victim of their own poor discipline during the third quarter last week, when they conceded a number of costly 50m penalties. They were made to pay and went into the final change 30 points behind – a deficit they couldn’t reel in. Luke Collins impressed in his first game since crossing from Montmorency, while Gary Moorcroft added three majors. However, the Bulls managed just seven goals and now come up against a North Heidelberg side which was last week excellently served by underrated defenders Nick Matthews and Ryan McGhie. For the second-consecutive season the Bulldogs began their campaign with a win over Macleod. This time the triumph was claimed at De Winton Park, which capped Brent Harvey’s first game as senior coach in style. In a huge boost, Williamstown-listed duo Jesse Tardio and Jhye Baddeley-Kelly both lined up for the Dogs. 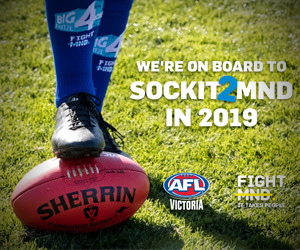 They were joined by recruits Shane Biggs, Daniel Harris, Jack Mapleson and Morgan Persson-Clark – with the latter arguably the pick of the bunch in their Bulldogs’ debut. 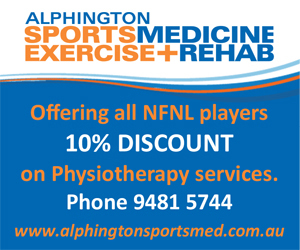 It cannot be underestimated how vital a win this weekend would be in setting up North Heidelberg for the season ahead. 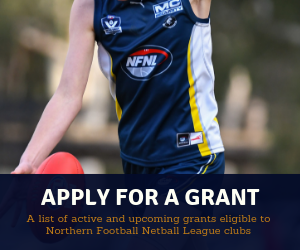 Winning away to Macleod and Bundoora have been two of the toughest tests in the NFNL in recent years, so if the Bulldogs can start the year by doing just that, then the sky is the limit. Another game that looks to have added significance following Round 1 results takes place at J.E. Moore Park, where reigning premier West Preston-Lakeside takes on Northcote Park. 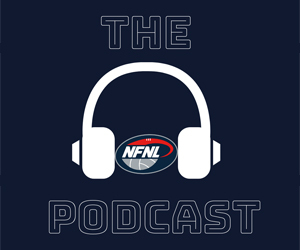 The Roosters’ premiership defence started in less than ideal fashion, with a 34-point loss to Heidelberg – the only side they didn’t defeat en route to the 2018 flag. The Roosters led at three-quarter time but couldn’t match the Tigers’ intensity in the final term. The reigning premiers were far from full strength, with Adam Valeri, Garrett McDonagh, Aidan Tilley, Michael Ercolano, Joel McDonald and Jaylon Thorpe all missing from the opening-round defeat. 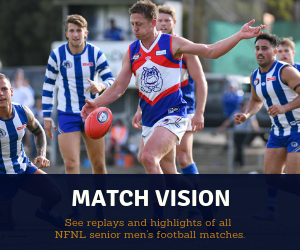 Northcote Park looks a tough follow-up assignment, with the Cougars sure to take plenty of confidence from last week’s 35-point win over Bundoora – where all of the club’s best players had a major impact in the final result. The ruck battle looks fascinating with Mark Kovacevic set to go up against Kyle Galloway. The Cougars’ big man was one of the most influential players on the ground last week and may be exactly the player his club has been crying out for in recent years. With Ahmed Saad (six goals in Round 1) and Jackson Starcevich (five goals) in great touch to start the season, the ruck match-up could prove to be the most important one on the ground – with the match set to be decided by which midfield can provide more supply to their key forward. Jake Mills was sidelined for last week’s win over Bundoora but could be a potenial match-up for Saad, if selected this week. If he isn’t available, the in-form Lachie Boscarini may be another option. At the other end, Nathan Valladaras and Jackson Clarke may be options to lock down on Starcevich and fellow key forward Ash Close. Garry Ramsay will coach against Macleod for the first time since joining Montmorency when the two sides meet at Montmorency Park. Both are looking to open their account after suffering opening-round defeats. While a 0-2 is far from panic stations, it also isn’t ideal as both clubs adapt to new coaches at the helm. A dream start turned into a nightmare for the Magpies last week. They booted the opening seven goals, only to concede 16 of the next 20 majors in a 36-point loss to Lower Plenty. 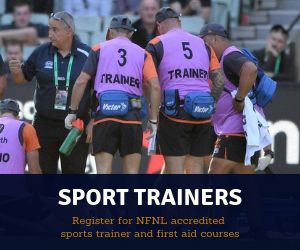 Early injuries to Matt Hunt and Michael Fitz-Gerald hampered the Magpies’ interchange rotations from the outset, while a late injury to Ben Walton made for a forgettable day against their next-door neighbour. A positive was the performance of Jai Robinson, who made a solid impact in his first game in black and white, while Stefan Uzelac played his best game at senior level in his seventh appearance. Macleod will be equally desperate to bounce back from last week’s defeat against North Heidelberg, which was just its third home loss at De Winton Park over the past two years. While Garry Ramsay is sure to have plenty of intel of his former side, it must be said there are already distinct differences with the way the Roos line-up in the 2019 – as evidenced by four new faces playing in Round 1. Of note, Team of the Year defender Brad Leggett flourished in a move to the ruck last week and gave his side a strong contest and added mobility in the middle. Despite his side suffering a 33-point defeat, Leggett received the most coaches votes of any player on the ground. Heidelberg and Hurstbridge kick off at the earlier start time of 1:40pm, with the game at Warringal Park to be followed by the inaugural match for the two clubs’ women’s teams. 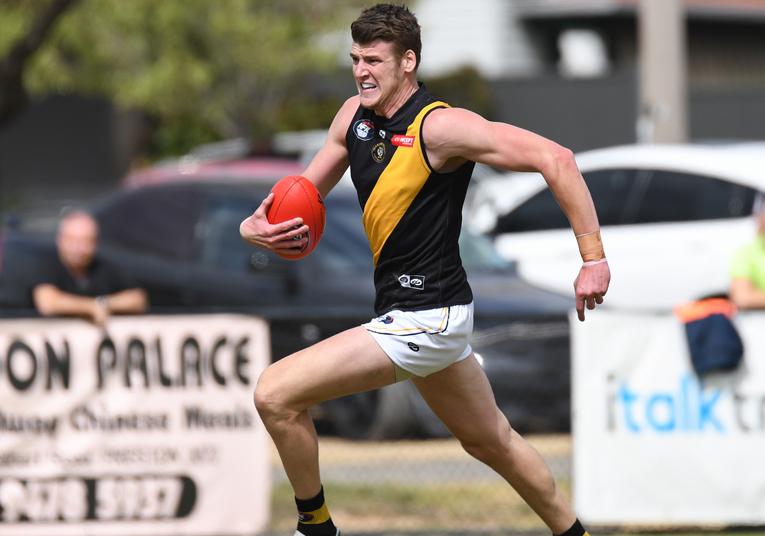 The Tigers will enter with confidence after last week continuing their great record against West Preston-Lakeside – where they stormed to victory with a seven-goal to one final term. 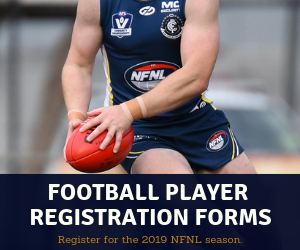 After last year blooding a host of youngsters, Frank Raso’s side looks beefed up this year – with the recruitment of Jack Blair, Anthony Bonaddio and Tim Noakes also providing stronger presence around the ball. 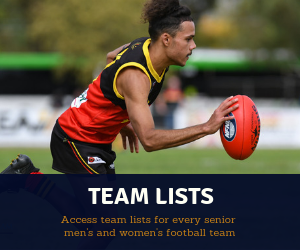 The addition of Blair and Bonaddio to a midfield already containing the likes of Michael Brunelli, Lachlan Wilson and Ryan Stone gives the Tigers one of the competition’s best on-ball divisions, aided by the presence of Sam Gilmore in the ruck. While Sam Grimley will again be the main focal point up forward this year, the Tigers showed last week they have multiple avenues to goal – with nine players among the goal kickers, including Samuel Wright who kicked three majors in his second senior match for the club. Hurstbridge must respond this week after a dismal start to the season. 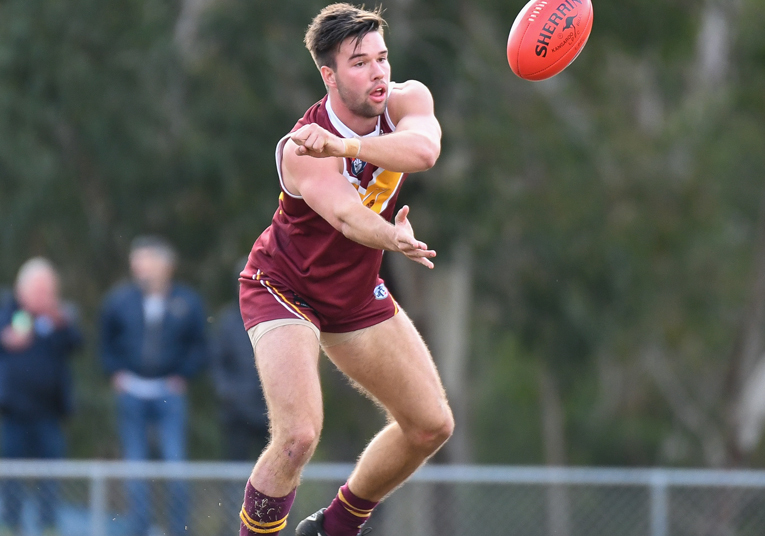 The Bridges conceded five goals in the opening ten minutes of their Round 1 loss to Greensborough and were unable to stop the rot in a 113-point defeat – their heaviest loss since returning to the top flight in 2017. The challenge doesn’t get any easier this week against a Heidelberg outfit that was fantastic first-up, however the Bridges can take some optimism into the clash after winning at Warringal Park last year. On that day the Bridges burst out of the blocks with seven goals in the opening quarter to take a 31-point lead into the first change. They then responded to a number of challenges from the home side to win by 13 points. Round 2 concludes next week when Greensborough hosts Lower Plenty at War Memorial Park on Good Friday. After strong showings in Round 1, both sides will relish the opportunity to play on the big stage in the standalone match. The Boro undoubtably head into the match as favourites, but last week’s come-from-behind win showcased that Lower Plenty’s top-end talent has the ability to cause damage in the top flight. 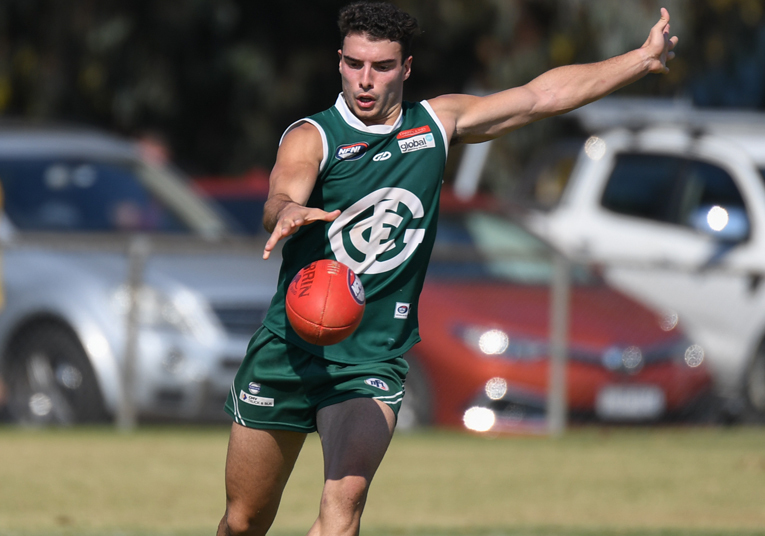 Everything went to script for Greensborough in Round 1, with recruits Ben Fennell (six goals) and Tom Bell among the best players on the ground, along with Charlie Molyneux and Zac McCubbin – who both endured injury-interrupted first seasons at Greensborough in 2018. Perhaps the Boro’s biggest weakness in recent seasons has been an inability to kick big scores, however that certainly looks to have been overcome if last week is anything to go by. The Boro piled on 23 goals, which included 20 in the opening three quarters. Lower Plenty’s return to Meadows Greyhounds Division 1 wasn’t going to plan early, when it trailed Montmorency by 35 points at quarter time. However, the Bears turned the game on its head in the second and third terms when they piled on 12 goals to one, to set up a 36-point win. Patrick Flynn and Darcy Barden were near unstoppable, while grand final hero Ben Paterson booted four goals and showed he has the talent to be a star in first division. Josh Turner played well in his return to the club, while youngster Oliver Wilson and Tyler Wallace also impressed. While the Bears are under no illusion of the challenge that confronts them in their jump up to Meadows Greyhounds Division 1, a victory in the opening round is a major achievement and could set them up for the season ahead.